welcome to 2017 and I hope everyone had a happy and healthy New Year's celebration. I am back in full swing with some fun new things planned for 2017. 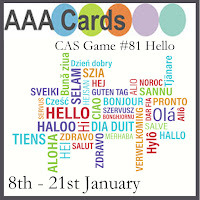 Today, I am designing over at the AAA Card Challenge. 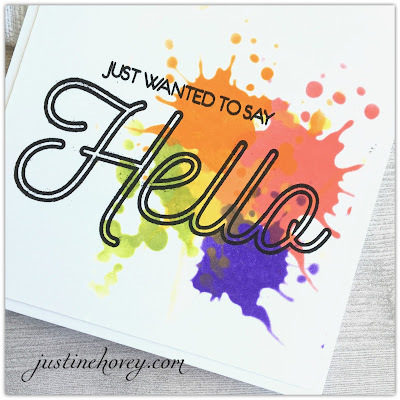 This week's theme is Hello. 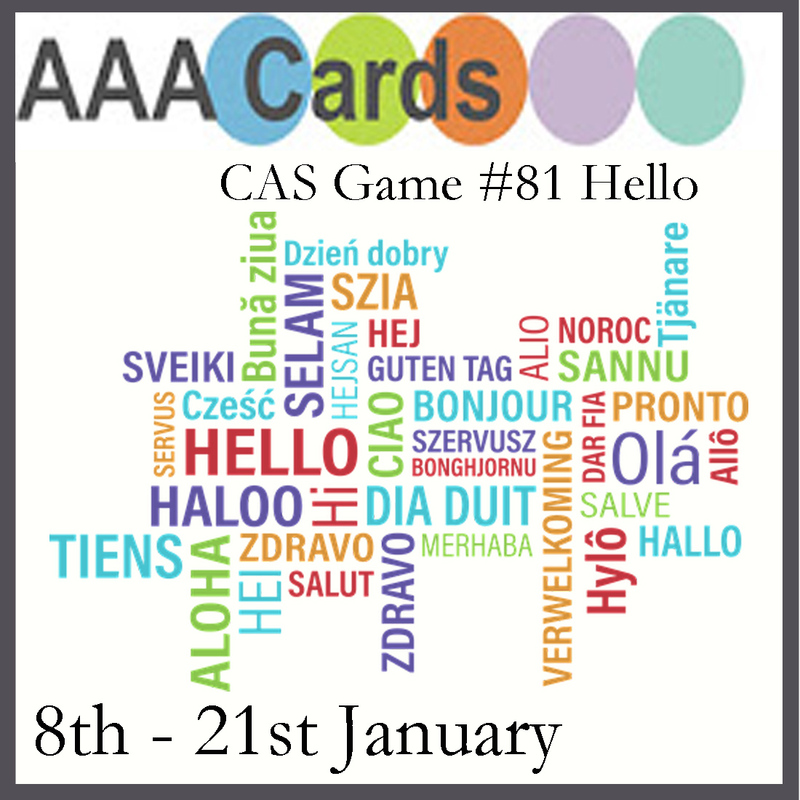 Be sure to come and play along with us and you could win a wonderful prize! My new resolution for this year to make sure to stamp something on the inside of my card. I also want to add a small touch to the inside and ties the front of the card into the inside. 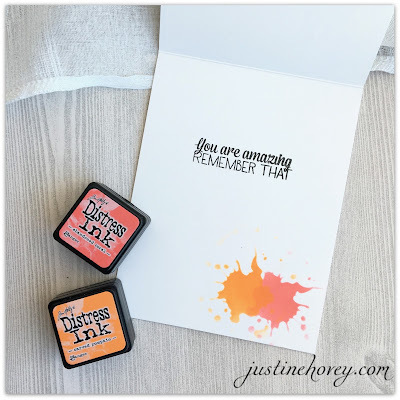 This sentiment is from the Pyrotechnic stamp set from The Ton Stamps. The main feature of this card is that gorgeous Hello sentiment from the Just Saying Hello Stamp from Create a Smile Stamps. I love stamp sets like these with a great combination of small and large sentiments and coordinating sayings. 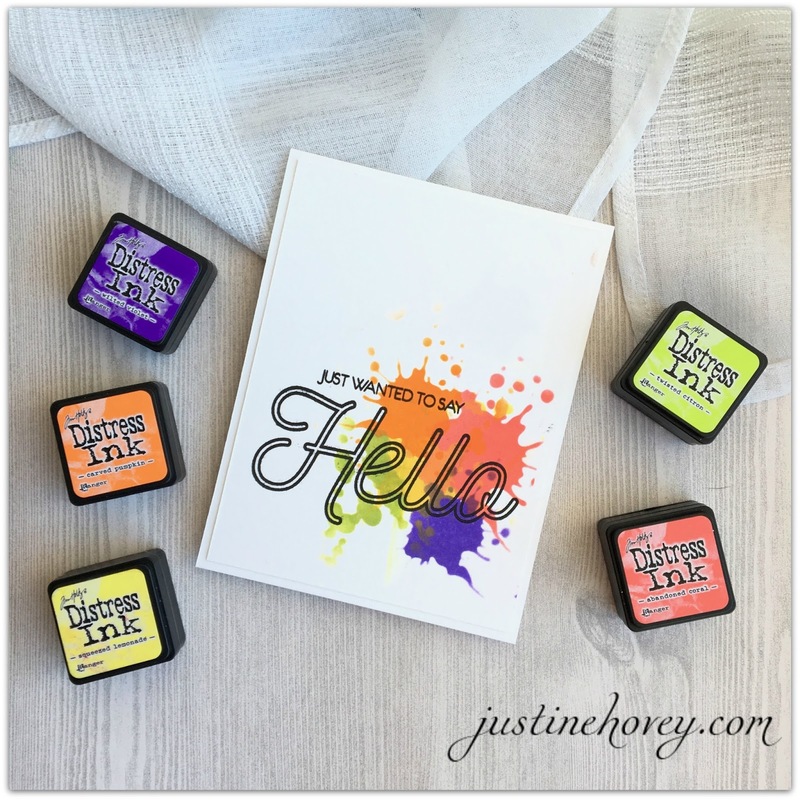 A great combination of Distress Inks that are a fun and vibrant rainbow - Abandoned Coral, Wilted Violet, Carved Pumpkin, Twisted Citron and Squeezed Lemonade. I also created a coordinated envelope that has a fun hand-drawn doodle and the splatters that are on the front of the card. Everything coordinated nicely and I'm super happy with the way this card turned out. Absolutely wonderful! Love that card and your pictures...epic! OH MY SENSATIONAL ! 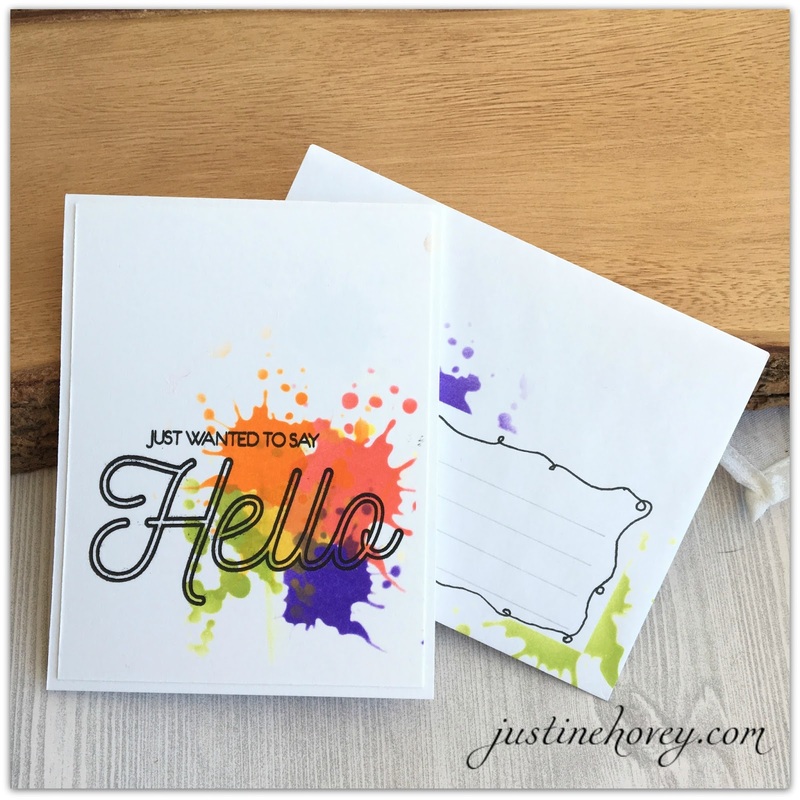 what a fabulous card and love the fact that you stamped on the inside you have motivated me to go that little extra that makes all of the difference. btw love your youtube videos. Such striking and vivid colors, Justine! Adore this card! Annihilation is an upcoming science fiction horror film written for the screen and directed by Alex Garland, based on the novel of Annihilation watch 2018the same name by Jeff VanderMeer. The film stars Natalie Portman, Jennifer Jason Leigh, Gina Rodriguez, Tessa Thompson, Tuva Novotny, and Oscar Isaac. The film is scheduled to be released . You are in point of fact a just right webmaster. The website loading speed is amazing. It kind of feels that you're doing any distinctive trick. Moreover, The contents are masterpiece. you have done a fantastic activity on this subject.